At least 53 people were detained as part of an Istanbul-based investigation into the Gülen movement while 22 others were put in pre-trial arrest after 3 days under detention in the western province of Izmir, on Saturday. Turkish government accuses the movement of being behind the July 15 coup attempt while the latter denies any involvement. Meanwhile, operations by law enforcement to round up people with alleged or real ties to the movement have yet to simmer down 9 months after the coup bid. Critics often blast the government for abusing the post-coup emergency rules to crash critics. Detention warrants were issued for 76 suspects in Istanbul while police have located 53 of them as of Saturday. Most of the detainees were rounded up in early hours of the day. 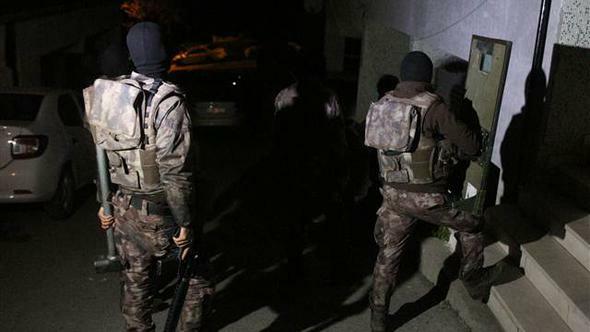 Meanwhile, an Izmir court ruled on arrest of 22 people who had been detained in several districts of the province on Apr 19. Turkish government arrested nearly 50,000 individuals since July 15.